Stepping Stones, is a 4 star rated child development center located in Madison, Ohio. Since 1982, they've been expanding their center to incorporate multiple age groups, from toddlers to school-agers. Dedicated to providing an environment for children to thrive, their highly qualified early educators focus on hands-on learning experiences that give children opportunities to grow. A step into the digital age. In the past, Stepping Stones has relied on word-of-mouth, a stellar reputation, and print advertising to reach new customers. As their center grows, so did their marketing needs, and building a website was the first step into increasing their online visibility. 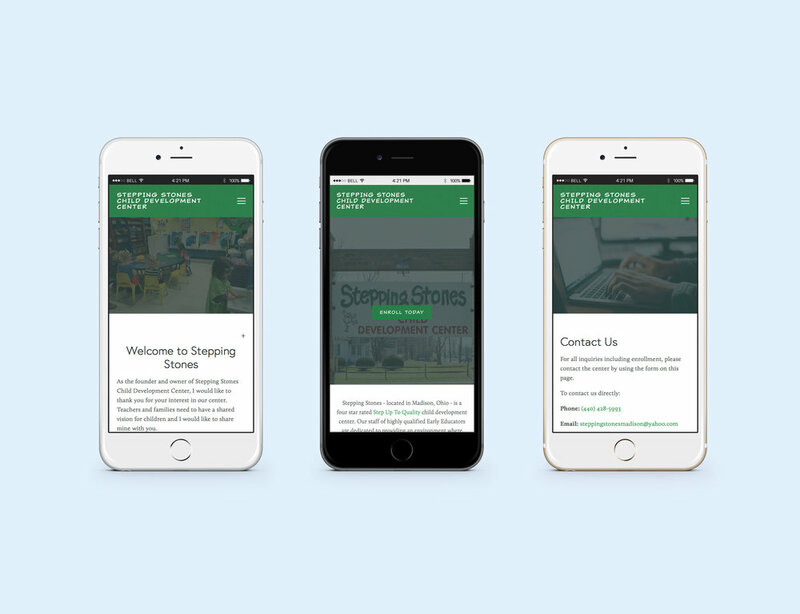 Hello Mammoth began working with Stepping Stones in 2017 to build an online presence to digitally promote their center. 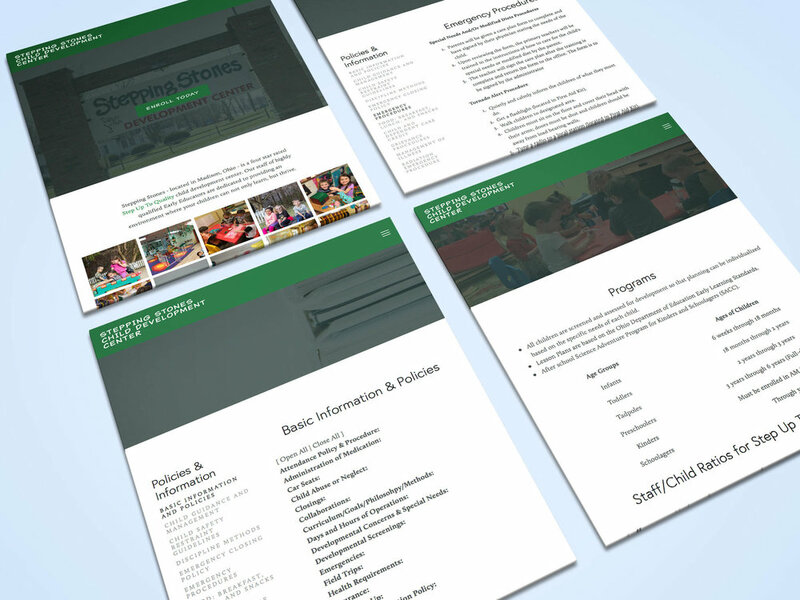 We were able to create a beautiful, informative website that allowed current and prospective families to learn about the center and its policies, gain access to the necessary forms needed for enrollment, and learn about the benefits that the center offers. Moving into the digital realm will allow Stepping Stones to reach potential families easier than ever before. And with that, comes increased interaction with currently enrolled families. They'll easily be able to post photos, share important dates, update the necessary forms as needed, and create informative blog posts to increase their visibility.